NEW LAUNCH PROJECT - CLEMENT CANOPY COMING SOON!!! 1 Bedroom Units Moving Super FAST!! Hilbre 28 is an ultra modern new launch residential condominum located in the popular Hillside Drive in District 19 of Singapore. Hilbre 28 is found in a prestige landed enclave and it is the dream of most people to own a such a home in this choice location. First class builders Development 72 Pte Ltd a subsidiary of a Singapore Public Listed Company ( Tee Land Limited ) developed this iconic facade that has a class of its own. The 999 years leased property comprised 28 exclusive units, as well as 2 to 5 bedrooms. Hilbre 28 condo is the ideal property for many people in Singapore. These housing units were exclusively designed for your comfort and that your household. This is certain from its plush ceiling, which is high enough to ensure comfort and quick family bonding. It is an ultra modern home, which offers you warmth and relaxation. Hilbre 28 condo is to located in the posh part of the city where everything that makes urban living sweet and comfortable is abound. It is located close to the most important facilities and amenities in town. To satisfy your shopping desire, the complex is located close to the best shopping complexes in Singapore such as Hougang Shopping Mall, Kovan Heartland Mall, as well as the Mega MallNEX Shopping located few minutes away from Hilbre 28 Condo. It is connected to expressways and major roads in the country such as the Kallang Paya Lebar Expressway KPE, Pan Island Expressway PIE, as well as the Central Expressway CTE and so on. You can easily be connected to other parts of the town through the Serangoon and Kovan MRT. All these amenties are close to Hibre 28 condo. Moreover, you are sure of taking your children to the most prestigious schools in this country. This is because the complexes are close to some of the best schools in the land such as the Paya Lebar Methodist Girls’ School, Nanyang Junior College, Rosyth School, Serangoon Junior College, Australian International School, as well as Zhong Hua Primary School among others. This means there are many choices to make for the best education for your children. Furthermore, you cannot have a dull moment in the condominium, because it is located close to some attraction like the Serangoon Park, Woodleigh Park, as well as Punggol Park. These places offer you comfort and relaxation. Minutes drive to shopping and entertainment amenities as as Serangoon Stadium, Serangoon Sport and Swimming Complex and Serangoon Garden Country Club are just stone throw away from Hilbre28. Shopping Amenities nearby including Nex Shopping Mall, Upper Serangoon Shopping Mall, Heartland Mall, Hougang Mall and Kensington Square. 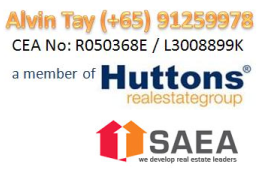 TEE Land Limited is a SGX Mainboard-listed real estate developer and a subsidiary of SGX Mainboard-listed TEE International Limited. At TEE Land Limited, we pride ourselves as a property developer with an established track record in delivering quality and well-designed residential property developments in Singapore. The Group’s property development projects, which are pre-dominantly freehold in tenure and targeted at middle-to-high income consumers who value exclusivity in good locations, are located in Singapore, Malaysia, Thailand and Vietnam. Whilst we continue to specialize in residential property developments, we have undertaken a number of commercial and industrial property development projects. Geographically, we have established a foothold in the existing markets of Singapore, Thailand, Malaysia and Vietnam and intend to continue our regional expansion into newer markets such as Myanmar, Sri Lanka and New Zealand. Our vision is to create living and working spaces that harmonize societies, businesses and people. We aspire to develop homes which resonate with consummate lifestyle choices, as well as industrial and commercial properties which reflect the needs of the business community. [/vc_column_text][vc_column_text]Citu NQ is located in the heart of the City near the Northern Quarter which is Manchester's creative district, right next to popular shopping area on Market Street and the Piccadilly Garden. Next door to Arndale Shopping Centre, 1 Minute walk to the Piccadilly Garden station where the future high speed 2 station will be located. [/vc_column_text][vc_column_text]28 Chidlom, a super luxury high-rise condominium project launching soon by SC Asset. Situated at Chidlom with less than 5 mins stroll to Chidlom BTS Station, the condo project at prime downtown Bangkok with doorstep access to Siam Luxury Shopping Belt, is also close proximity to the Embassy /Consulate District. [/vc_column_text][vc_column_text]28 Chidlom is situated on a large land plot of more than 3 'Rai' (1.5 acres) on Soi Chidlom, exactly 5:45 minutes walk from Chidlom BTS Station and 4 minutes to Central Chidlom Department Store on the opposite side of the road. Spacious 2 Bedroom w 2 Bathroom. Grandeur Park Residences is a new condominium that will be launched for sale in early 2017. It occupies a rather attractive location – just beside Tanah Merah MRT station (with a covered linkway, 50m or 1 minute walk), in a private residential estate that combines a condominium belt with low-rise landed housing. 1. Location beside Tanah Merah MRT station. Nearest station exit is on same side of the road, about 50m or one minute walk, from Grandeur Park side gate. 2. 18 minutes direct train ride to the CBD & Marina Bay Financial Centre. 3. One train stop to SUTD, Changi International Business Park, Bedok Town Centre. 5. Grandeur Park Residences can expect rental demand from PMETs working at the nearby Changi Business Park, Logistics & Industrial hubs. 6. Sited in an established residential estate at Bedok South Avenue 3. Walking distance of amenities like the Bedok Swimming Complex and Sports & Fitness Center, and the markets, shops and food centres at the HDB estate across the road. 7. Low-rise housing south of the site makes for a breezier & quieter environment. 8. Close to the leisure activities and beaches of East Coast Park. The location of Grandeur Park condo makes it an attractive one for investors, as well as for parents securing a home for their families. The Bridge Campuchia, khu phức hợp cao cấp tọa lạc tại Trung Tâm Thủ Đô Phnom Penh, là 2 tòa nhà 45 tầng ̣đẳng cấp nhất Pnom penh. Được tập đoàn Oxley Holding Sinagpore xây dựng và mở bán tạ,i Singapore. -Căn hộ cao cấp 1,2,3 Phòng Ngủ và 5 tầng khu vự mua sắm, ngân hàng và nhà hàng v.v. -Phát triển bởi Oxley Holding Singapore và World Bridge Land Campuchia, nhà đầu tư hàng đầu Singapore và Campuchia. -Chỉ từ USD 105.ooo, lịch thanh toán linh hoạt. -Môi trường sống lý tưởng cho cả gia đình: Gần nhiều trường quốc tế, phòng khám tiêu chuẩn, nhiều địa điểm mua sắm, ăn uống và giải trí . Tại sao chọn đầu tư vào The Bridge? Hoàn hết 50% còn lại khi lấy nhà 2018!